This article was originally published in Plant Healer Magazine last year. I am frequently asked why I still go to protests. This question surfaces in conversations about successful political actions – the assumption being that mass mobilizations in the U.S. are rarely the tools of change they once were. For me it doesn’t matter. I measure the success of an event by the community connections made, the skills developed, the wisdom shared by the too few elders. Maintaining situational awareness with the buddy walk. 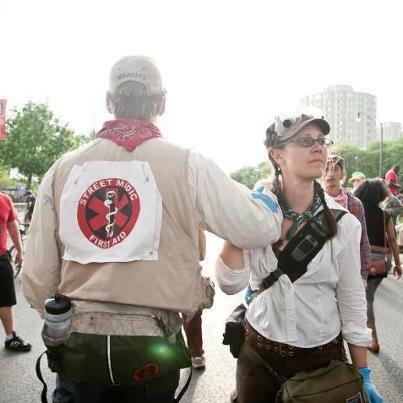 ailments while being prepared for the emergency situations that arose when counter protestors or police injured marchers I encourage herbalists to consider working at a free clinic during a mass mobilization. It’s an opportunity to learn about the logistics of providing medical support, develop conflict resolution and negotiation skills, practice cultural and situational awareness, build community ­– all under duress. These clinics are open to the public. Clinic staff ranges from doctors to acupuncturists and from herbalists to EMTs. For some patients, this might be a rare opportunity to receive health care. In an emergency situation, it’s important to be able to set up a clinic, provide medical support for large numbers of people, and think on your feet. When we got the call, we’d been spending most of our time shoveling snow in NE Ohio. 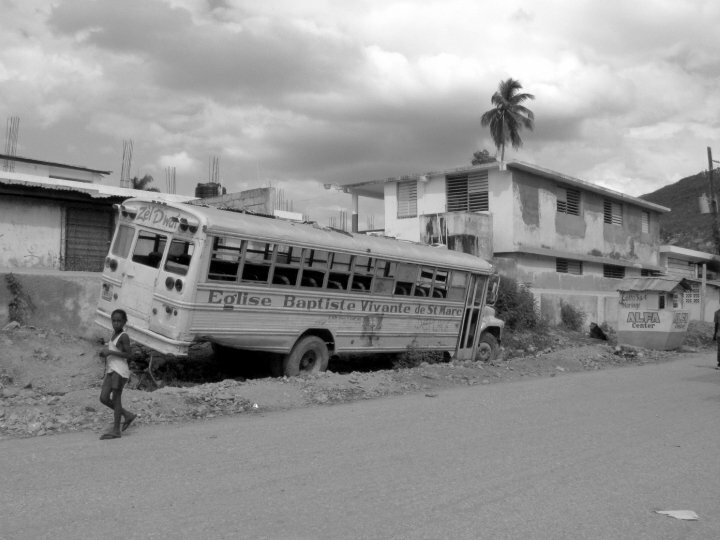 A friend in Montana called to ask Charles and me if we would be willing to go to Haiti. The team was self-assembled and unaffiliated: all we would have was each other. We knew other street medics who were in Haiti and through them learned about a Haitian living in New Jersey who was looking for medical teams to go to his hometown, St. Marc, in northern Haiti. Odson would be our guide and primary interpreter while we were in Haiti. We raised money in our communities and within a week of deciding to go found ourselves flying to the Dominican Republic. 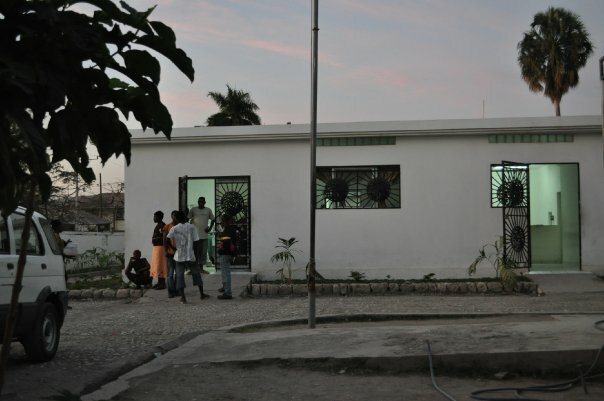 When we arrived at the hospital in St. Marc, we discovered that the American team of surgeons and nurses that were there were leaving the next day and the next team was not arriving for five days. We were the only care providers for their patients during that time. We provided care for patients who had received or needed serious operations, amputations, complicated breaks requiring external fixators, and skin grafts. After that five days passed and the next team arrived, we took a day off. After resting for a day, we went to the village where Odson’s grandmother lives to see the countryside and set up a clinic for the day. We set up a three-part clinic: wounds/musculoskeletal injuries, blood pressure, and minor medical treatments (pharmaceuticals and OTCs given by a nurse and herbal remedies from me). That day was amazing and incredibly discouraging. The countryside is beautiful, but the people are undernourished – some of them suffering from easily prevented conditions, like night blindness from Vitamin A deficiency. 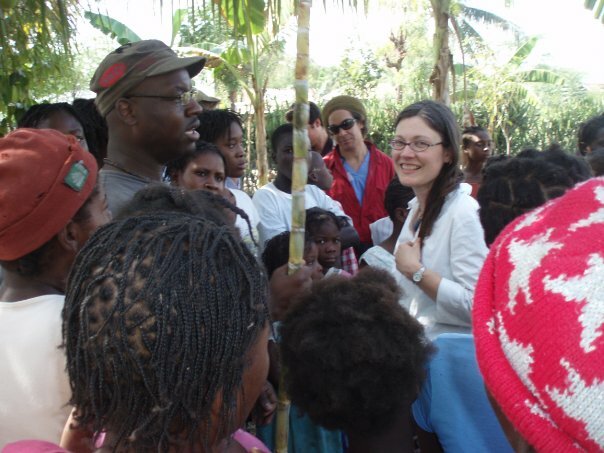 Having a check-in meeting with a Haitian nurse. Before we left Haiti, Odson told us that the hospital staff agreed that we were one of the best American teams to come to St. Marc. There were two reasons for this. The first was our willingness to ask how we were doing. After two days of working in the hospital we asked to have a meeting with Odson and his sister, a nurse at the hospital. This gave us an opportunity to learn from our successes and mistakes. We learned that Haitian providers use full sterile protocol on all patients. We were ushered in by a team of doctors who walked us through their protocol – they weren’t using sterile protocol either. They felt that nothing about the environment was sterile, so why bother wasting the costly sterile gloves on every wound dressing change. Just outside of the operating room, we were told to take care not to stand directly in front of the doors, because the water dripping down was a sewage leak. However, the Haitian doctors and nurses employ full sterile protocol precisely for the absence of sterility throughout the hospital. Despite this blunder, none of our patients developed new infections in their wounds while under our care. Our second success rode on our willingness to integrate as much as possible into the community of St. Marc. 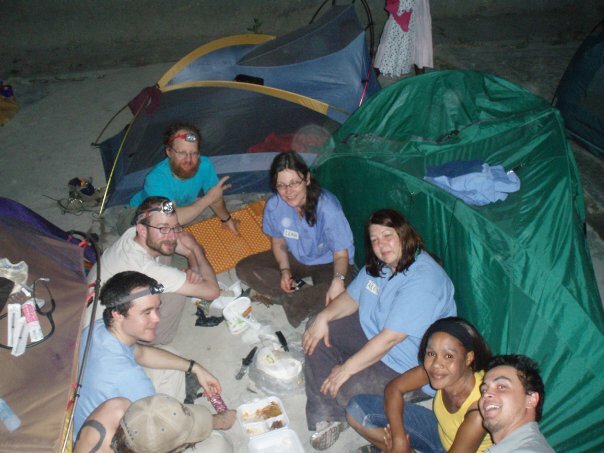 We stayed with Odson and his family, creating our own tent city in their enclosed courtyard. When we needed to go somewhere, we walked or rode on the back of motorcycle taxis. We bought our food in Haitian grocery stores and restaurants. (One American doctor expressed mild shock that we went out for a drink with “them.”) We flew kites made from beach trash and skipped rocks with the children at the beach while chickens, pigs, and goats nosed through the garbage in the sand. None of us were fluent in Haitian Kreyol, but we learned basic phrases and important words. One of the slang phrases I learned (to everyone’s amusement), was m lage cha a (I gotta bounce). That may sound like an exaggeration, but this is in contrast to the U.S. where many of our best medicines are torched, yanked, or sprayed in an effort to annihilate their existence. Odson frequently pointed out things that his mother or sisters use for teas. His father spoke of the medicinal qualities of calbasa while demonstrating how to carve the hard shell into a bowl or water carrier. Leah talking (and learning) about herbs. I learned more about Haitians and their plant knowledge while we were visiting the village where Odson’s grandmother lives. After lunch (rice with chicken and greens), a few of us wandered into the yard behind the houses. I was feeling that it would be better to recommend treatments based on plants that were growing in the area rather than giving herbs from the states. I came upon a vaguely familiar plant with big leaves – I grew up in southern California and was surprised how many plants were similar. I bent down to look closer and asked Odson what it was. This one I didn’t recognize because I’d only seen them in orchards: almond trees. They grow like weeds in Haiti. Excited I stood up and said to him, “The leaves as a tea are good for high blood pressure!” At that moment, I realized that a small crowd had gathered around us and blushed because suddenly they were all talking at once. I asked, “What are they saying?” Odson smiled, “They are saying it is good for high blood pressure.” We were then able to recommend the tea to those with high blood pressure. It wasn’t important that I knew about the benefits of almond leaf tea, but the connection helped those who didn’t previously know they had high blood pressure. The earthquake in Haiti caused an acute disaster that was all the more devastating because Haitians have been living in a state of political and economic oppression and chronic disaster. Haiti is the poorest country in the western hemisphere. Many struggle to get enough food. Few have access to clean water and the means to clothe and shelter themselves. The rates of malaria, HIV/AIDS, tuberculosis and other infectious diseases were high before the earthquake; and after, many suffered in an outbreak of cholera. I began to wonder how to measure the success of recovery under those conditions; especially when those conditions are a result of decades of political and economic oppression. Coming home from Haiti was not easy. There is so much work to do there. But the work is here, too. Throughout the world, corporations exploit poverty-stricken regions for labor and the extraction of raw materials. Chocolate, coffee, diamonds, trees, oil and coal are exchanged for blood, sweat, and tears all over the world. 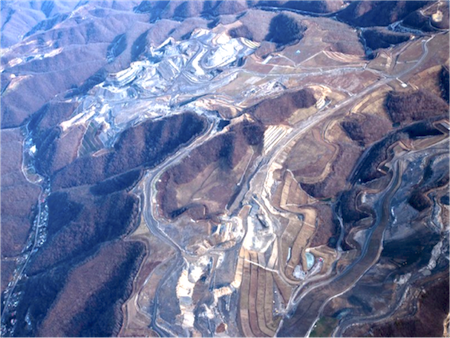 In the U.S., Appalachia is the poorest region if you look at the human statistics, but one of the wealthiest if you look at coal production. The greatest profit exchanged for the greatest suffering. 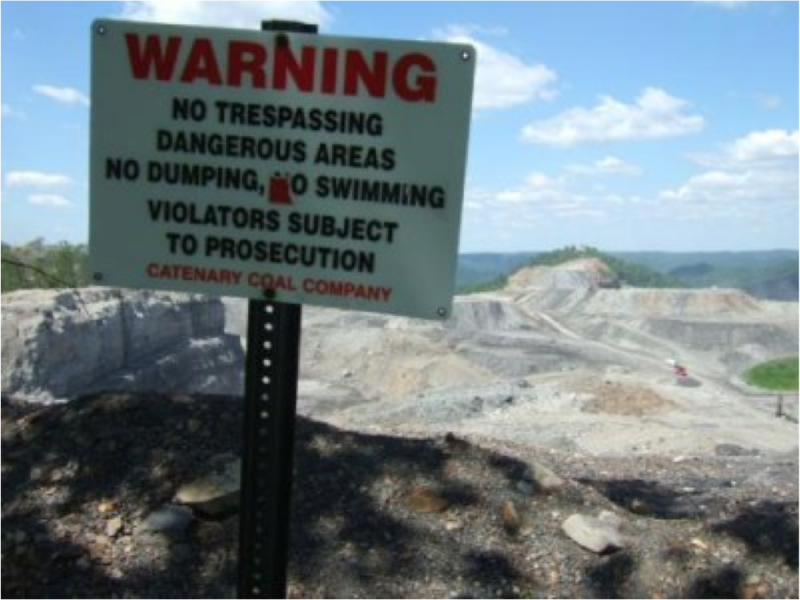 The coal industry has been destroying people and entire communities in those mountains for more than a hundred years. My great grandfather was one of them. Mechanization led to layoffs and my grandparents moved to California to work at the Kaiser steel mill and hospital. If they had stayed, it’s likely that my grandfather and father (who also worked at Kaiser) would have also died young from black lung disease (officially known as coalworker’s pneumoconiosis). Over the last two years I’ve been to West Virginia twice: to see family and the landscape my ancestors lived in and to work on health-related projects. The first time I went, I spent a week with Roland Micklem and attended a rally to protest mountain top removal. I provided medical and moral support to Roland; an 81-year-old man who was fasting to demonstrate his grief for the mountains that are being cut down for coal. The second time I went, I trained two groups of people to conduct a health survey. The data will be used to further understand the health impacts contributing to health disparities in Appalachia. People in that region die more often from lung, kidney, and cardiovascular illnesses compared to the rest of the U.S., so the National Institutes of Health has designated the region as a priority area for eliminating health disparities. These illnesses are likely a result of a combination of things including poverty, hunger, unemployment (and underemployment), limited access to health care services, air and water pollution, and the health behaviors influenced by all of the above. I’ve seen jars of blackish water from formerly clean wells. I’ve seen air filters blackened in just a few short days. If that doesn’t describe a disaster situation, I don’t know what does. My experiences in West Virginia and Haiti and my earlier experiences as a street medic inspired me to become more prepared for a disaster and to teach others to do the same. I teach an introductory workshop on preparing for a disaster that can be followed up with conflict resolution, negotiation skills, non-violent communication, basic first aid/herbal first aid, disaster herbalism, emotional first aid/disaster psychology, setting up/running a temporary clinic and turning that clinic into an enduring project. The knowledge and wisdom shared in the workshop comes from a number of people and in the tradition of recognizing those who help us, I will say their names here: Mo, Charles, Noah, Aislyn, Grace, and Roger. While I was in West Virginia this year, I visited some relatives and saw the house my father was born in. I touched the Spruce trees in a tiny isolated old growth forest. I found the new leaves of an orchid called Rattlesnake Plantain. 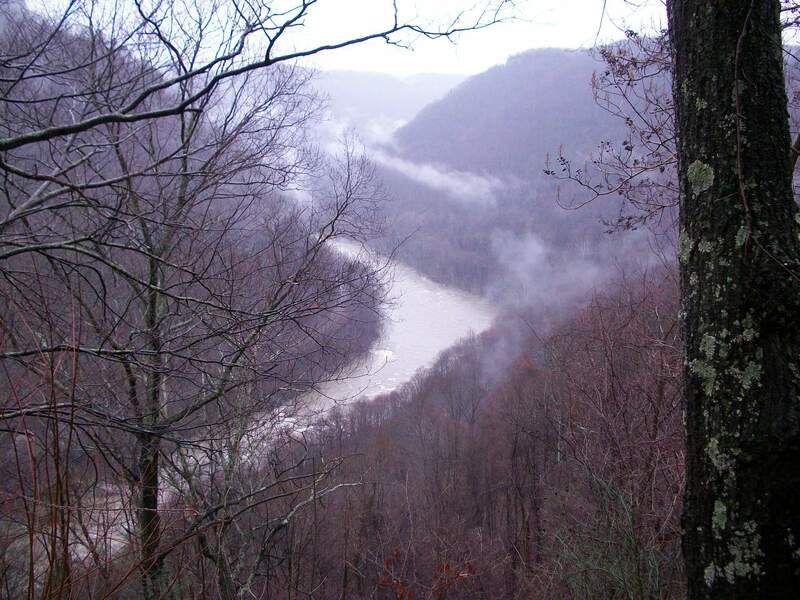 I sang in the shadow of the New River Gorge. And for the first time, I saw the name of relatives in a graveyard in Norton, WV. I saw life and death and everything in between. The cycle of life is the here and now. The only thing I know. And I will work to keep that cycle balanced in everything I do. Leah Wolfe, MPH, is a community herbalist and health educator with a background in health research and community organizing. She teaches as a way to contribute to decentralized sources of health care, which are integral to a sustainable, ethical, and affordable system of health that emphasizes public health and autonomy. She is an apprentice of the forest and field and is certified as a Wilderness First Responder. 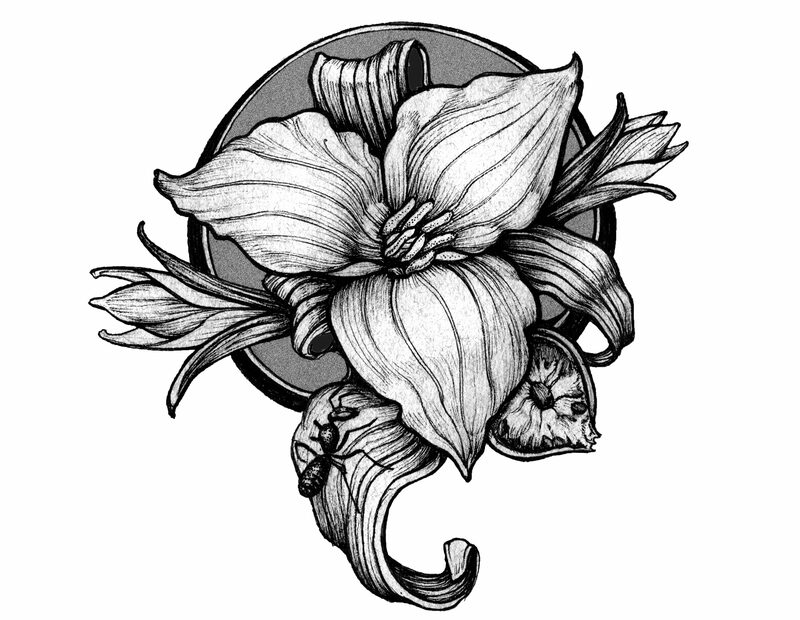 She offers consultations and herbal medicines on a sliding-scale or gift exchange basis to make treatments accessible. She founded the Serpentine Project in 2009 to restore habitat for at-risk medicinal plants and cultivate other important medicinal plants at BLD farm in Ohio.